Caracas (AFP) - Venezuela is known for its obsession with beauty contests and plastic surgery. Now, the latest fashion rage is bulletproof clothes and cars to protect against rampant violent crime. Miguel Caballero, a Colombian designer known for his bulletproof clothing, told AFP that over the past seven months up to 30 percent of his sales are with people sporting his style-meets-safety duds in Venezuela. The oil-rich country has a huge gap between rich and poor, and sadly, it boasts the world's second-highest homicide rate. Costly precautions like protective clothing, armored cars and bodyguards used to be the stuff of presidents and entertainers like pop star Ricky Martin. But Venezuela is a violent mess. Nearly four kidnappings per week are reported, according to the government, 65 people a day die violent deaths, according to NGOs, and the obsession with survival is spreading everywhere. Caballero says his customers are Venezuelan businessmen and politicians but also foreigners who "just to play it safe, when they travel to Venezuela, wear our clothes." Yes, the country sits on a sea of oil. But millions of guns are out there too, and the homicide rate stood at 54 per 100,000 inhabitants, surpassed only by Honduras, according to UN figures. Aware that demand for his garments in Venezuela was reaching that of Colombia or Mexico, in April, Bogota-based Caballero set up a local distributor here. 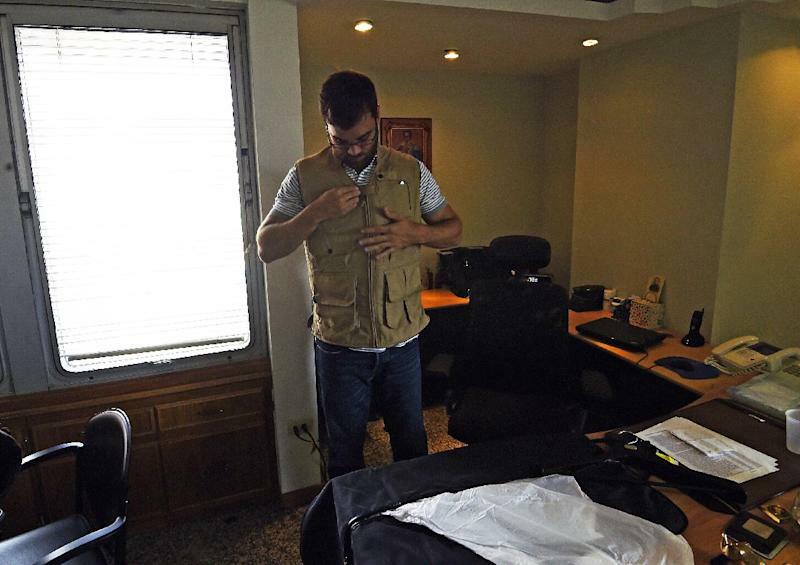 In Caracas, distributor Rodolfo Asensi showed AFP a sample of the bulletproof wear. It looks normal. But touch it, and you can feel it is lined with aramid, a strong synthetic fiber. Asensi's family endured a kidnapping. Since then he needs a bulletproof jacket or vest for protection, he said. So far, he has had many clients who are store owners, businessmen looking to protect themselves and their bodyguards, foreigners and even wives looking to protect their husbands and children. All of them were willing to fork over up to 2,000 dollars, depending on the garment. "Here we work in line with the fears of the person. Depending on how afraid you are in your day to day life, you will decide whether or not to buy a jacket," he said. But wait, there is more, and it is even more cumbersome. You can get your car rendered bullet proof. More than 40 companies offer this service today, compared to 18 in 2007. A businessman who asked not to be named paid 40,000 dollars to beef up his car and his wife's. "It is a lot of money, but I do it for the safety of my family," he said. He also walks around with a bodyguard who earns 2,500 dollars a month. Others prefer to carry out a risk assessment on the whole family or business to single out spots vulnerable to criminals, said Franklin Chaparro, a security consultant and former senior intelligence official. "Most people invest in security when something happens to them," Chaparro said. Then, they set up cameras and alarms at their homes, panic buttons or GPS devices in their cars. 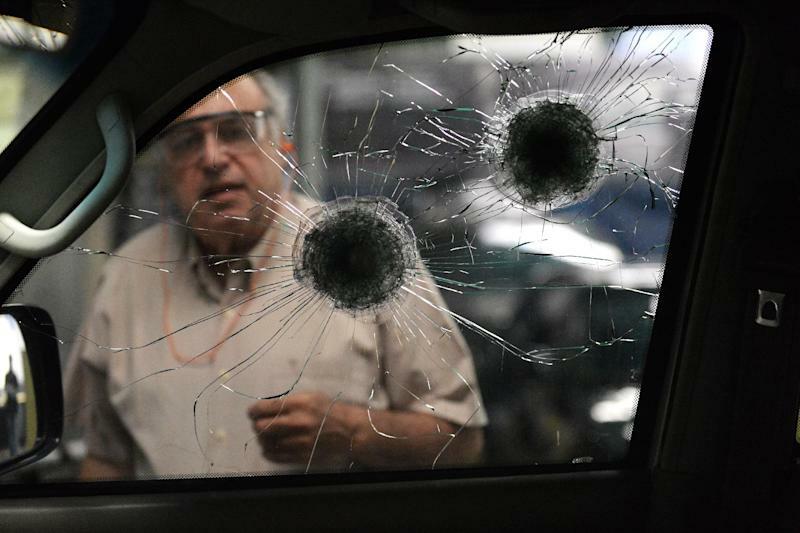 Rafael Cadalzo, head of a security firm called V-Safe, said he has even made the windows of his house bulletproof. Rentals of armored cars and bodyguards to take young people or adults out for a night on the town are soaring, said Ivan Rouvier, head of Black Hawk and other security consultant. "It is very much in fashion and costs 6,000 bolivars (around 1.000 dollars) for a six to eight hour shift, he said. People who cannot afford that expense organize parties or outings to start and end earlier. Or they spend the night at the home of the person hosting the party. Still others, well, they just stay home when night falls.